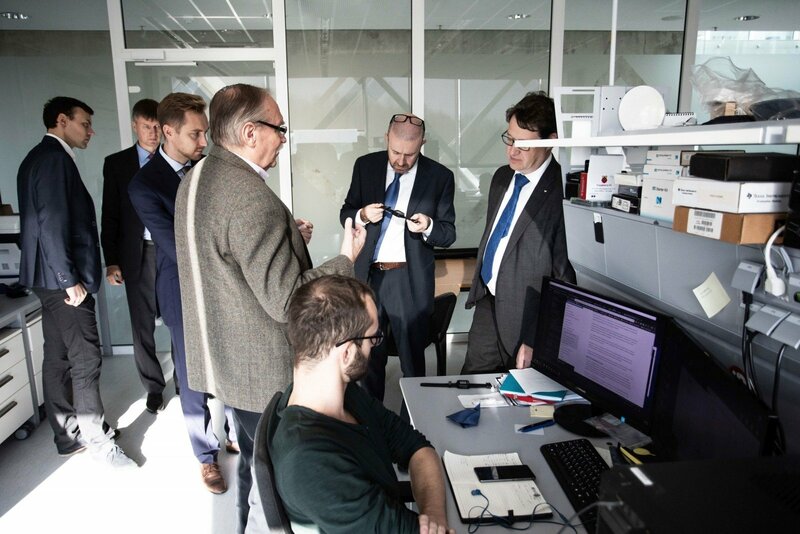 Last week, CERN delegation paid a visit to Kaunas University of Technology (KTU) Santaka Valley. 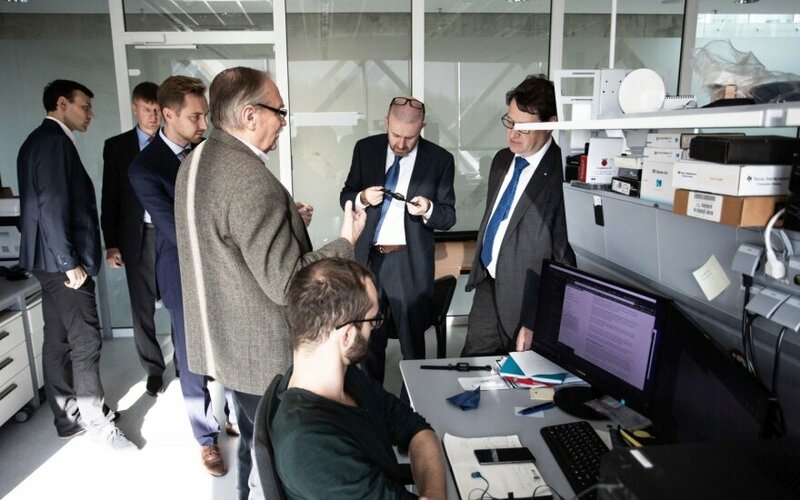 The aim of their visit to Lithuania was to get acquainted with the innovation ecosystem in order to evaluate the possibility to establish CERN Business Incubation Centre (BIC) in Lithuania, a KTU press release states. There are ten BICs throughout Europe up to date and their primary goal is to assist entrepreneurs and small businesses in taking CERN technologies for development of innovative products. Lithuania has joined CERN recently, so the fact that it is considered as the place for CERN Business Incubation Centre, shows the strength of Lithuanian higher education and the added value brought by high-tech. CERN representatives in Kaunas visited two universities – Lithuanian University of Health Sciences (LSMU) and KTU. During their visit, the group paid special attention to the laboratories of the Institutes of Materials Science and Biomedical Engineering at KTU Santaka Valley. The delegation from CERN together with the representatives of business companies, KTU, LSMU, Lithuanian Energy Institute, Vytautas Magnus University, Lithuanian Academy of Sciences and the Ministry of Economy had a meeting at National Innovations and Entrepreneurship Centre (NIEC) and had discussed an overview of Kaunas innovation ecosystem. "The visit of the CERN delegation is very important. If established in Lithuania, CERN Business Incubation Centre will be the only one in Central and Eastern Europe and will make great impact on the regional community of entrepreneurs, researchers and innovators. CERN Business Incubation Centre could accelerate the application of CERN expertise and technologies for solving important problems, for example, new technologies and artificial intelligence could be used for diagnosis and treatment of illnesses, as well as big data processing", said Dr Leonas Balaševičius, KTU Vice-Rector for Research and Innovation. CERN BIC can provide office-space, expertise, business support, access to local and national networks, and support in accessing finance. Centre in Lithuania could engage experts in the fields of information and communication technologies, material engineering, and medical technologies. CERN, European Organization for Nuclear Research, is best known in public for its Large Hadron Collider (LHC), the world's largest and most powerful particle accelerator, which can be labelled the world's greatest experiment. CERN's expertise lies in a great number of areas: from cryogenics to ultra-high vacuums, from particle tracking and radiation monitoring to superconductivity and many more. These technologies, and the human expertise associated with them, translate into positive impact on society in many different fields: medicine, safety and industry development.